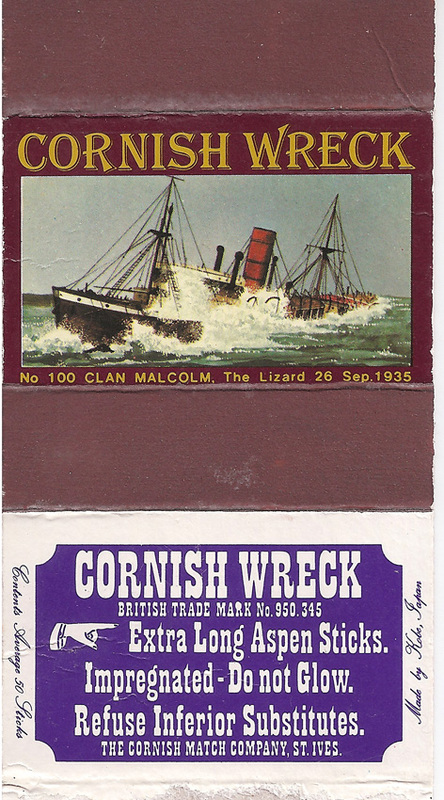 Clan Malcolm of Glasgow ran aground at Hot Point, near Lizard Point with a cargo of maize on 26th September 1935. Her fittings were sold by auction on Cadgwith beach and she was considered a danger to shipping and blown up and sunk. This illustration appeared on a skillet as part of Issue 22 of the Fourth Series.